HOUSTON". Tex. July 20--UP--Clifton Cheshire, 24-year-old ex- paratrooper, has laid claim to world's record free-fall parachute jump, after failing more than 11,000 feet before opening his chute. The young Houston war veteran was between 600 arid 300 feet from the ground when he pulled the string in a test jump at Rosenberg, Tex. 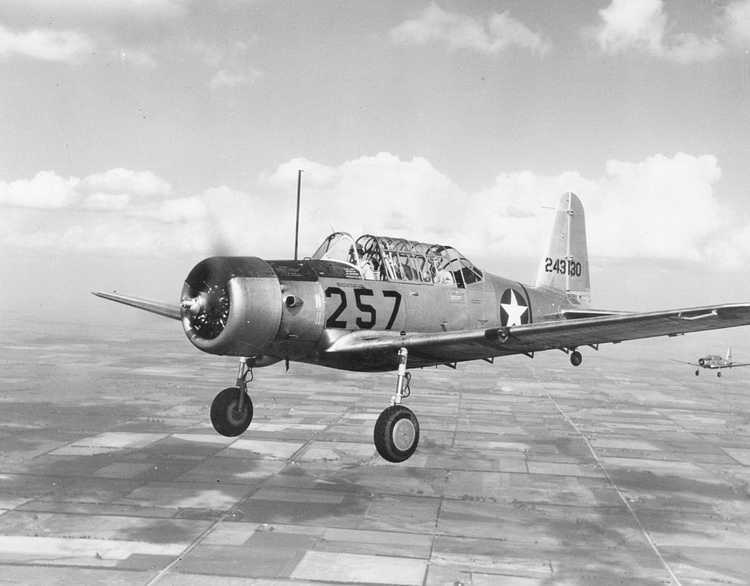 He had jumped from a BT-13* at 12,000 feet. Cheshire and a companion. W. G. Cornelius. 26, announced several weeks ago they had perfected a chute that would open safely on jumps only 100 feet from the ground. The 100-foot attempt will made in about three weeks from a Houston building, they announced. About the leap. Cheshire remembered he "didn't count at all. I kept my eye on the ground and pulled the string when I thought I was a little more than 100 feet away," he said. But his luck wasn't all good. 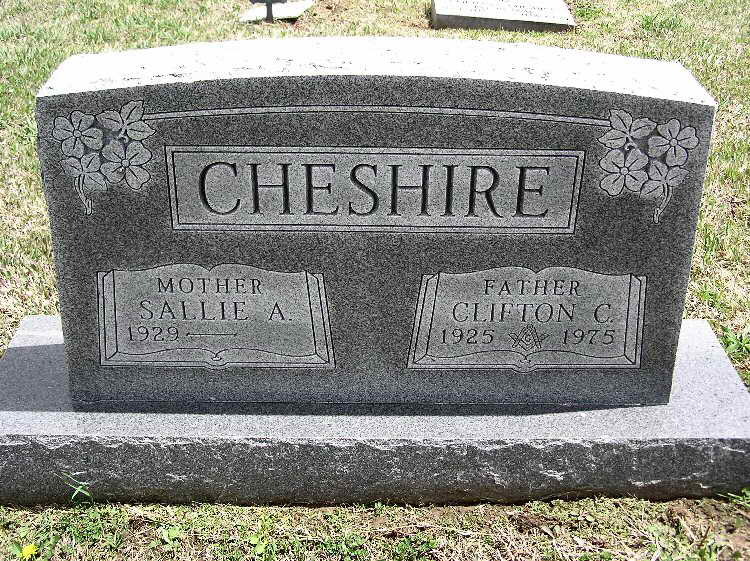 Cheshire landed in some shrubbery loaded with yellow jackets and was badly stung. CONROE, Tex., Aug. 9 (UP) Clifton Cheshire bested the free parachute fall record by 6000 feet, he said yesterday, by falling 21300 feet before opening his 'chute only 200 feet above the ground at Conroe Air Field. And he had an accident to thank for it. Cheshire, Eighty-second Airborne Airborne Division veteran, jumped from the wing of the plane at 22,000 feet. He said he blacked out and when he regained consciousness saw the tree tops. "I snatched at the release of my 'chute," he said. "Then I jerked open the reserve 'chute. It busted out just over the treetops and less than a second later I hit the ground as the parachute fouled up in the trees. Cheshire is said to. have fallen 6000 feet farther, and opened his 'chute 1200 feet closer to the ground, than Spud Manning of Los Angeles who set the record in 1931. Q. What is the highest successful parachute Jump on record? H. 8. A. Lieutenant Colonel William ft. Lovelace made a parachute Jump from 40,200 feet on June 24, 1943, near Euphrates, Wash., to test oxygen equipment for parachutists. 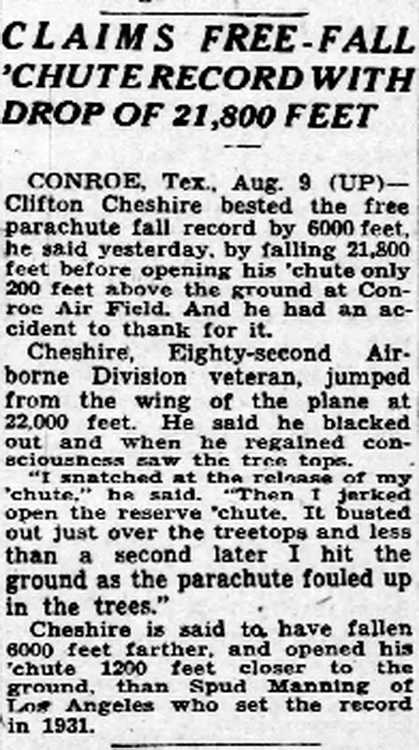 On August 9, 1948, Clifton Cheshire Is reported to have made a new parachute record at Conroe, Texas. He fell 21,600 feet. 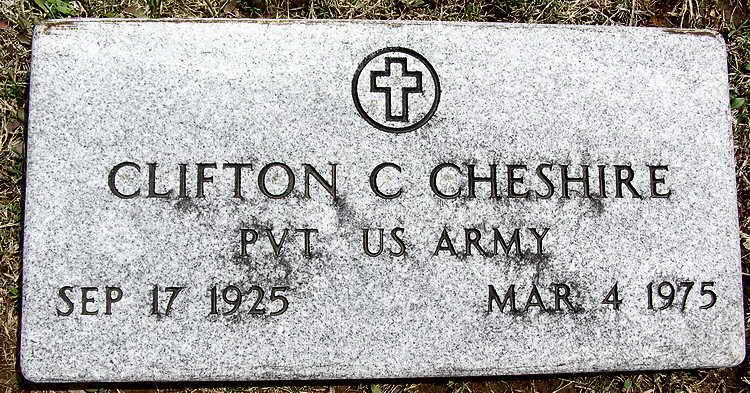 Grave markers for Clifton C. Cheshire in Saint James Cemetery, Milford (Barton county), Missouri. 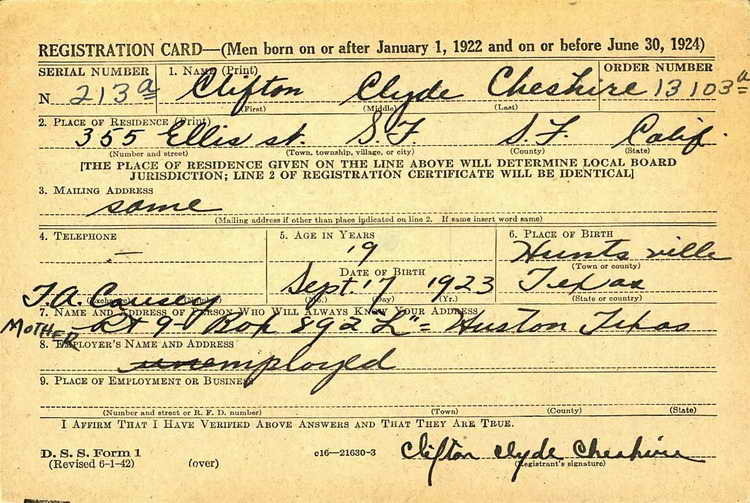 Clifton's birth name was placed on records as Clyde Clifton Cheshire but his first and middle names are reversed on all other records. Clifton registered for the draft ca. 1942 and entered service on 21 July 1944. Pvt Cheshire was transferred from the 6900th Reinforcement Depot to Hq 2nd, 508th PIR on 3 June 1945. 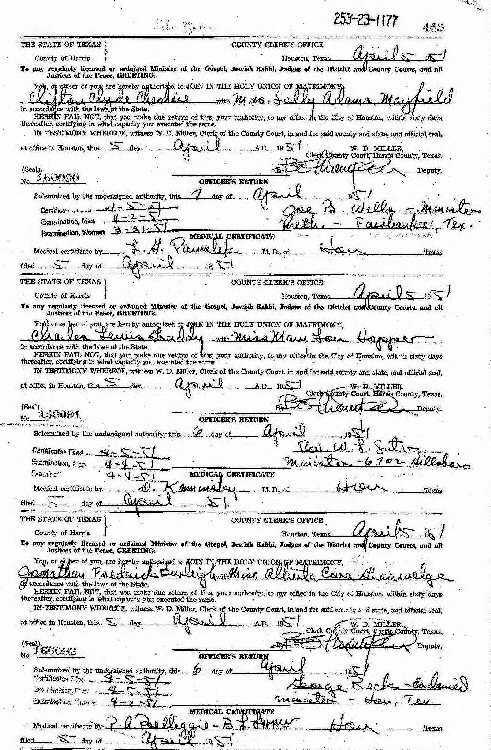 A roster created in Frankfurt, Germany on 20 September 1945 showed him still in the Headquarters, 2nd Battalion company. 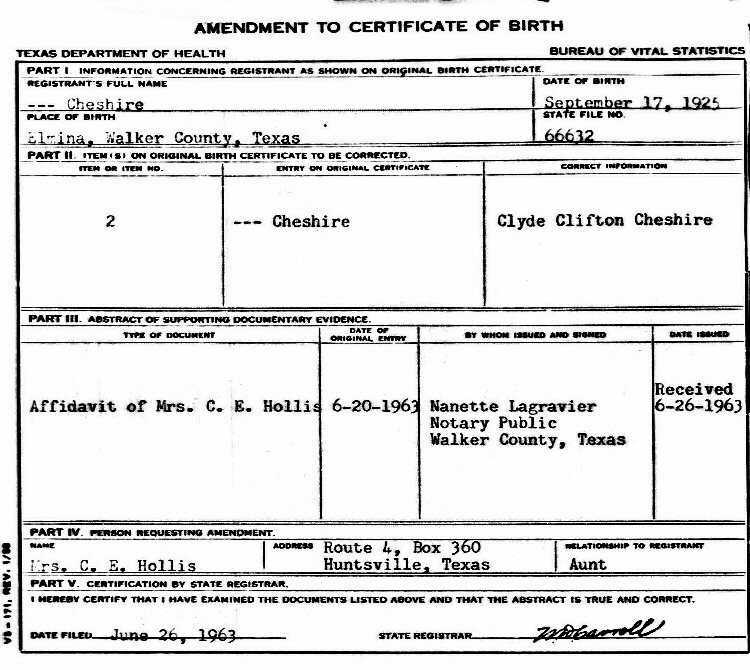 He was discharged on 12 February 1947 and on 7 April 1951 he married Sally Adams Mayfield in Harris, Texas. Her name appears on the family grave stone but she appears to be still living. As evidenced by the articles at left, he didn't stop jumping and achieved a list of feats unequalled, or surpassed, for quite some time.